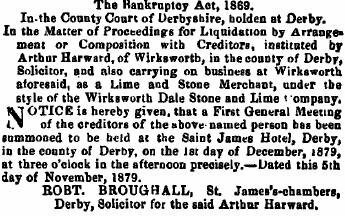 Arthur Harward, owner of "The Lees" Estate in Wirksworth, became bankrupt through building a tunnel under Wirksworth, to carry stone from his Dale Quarry to the railway, was forced to sell the estate, which broke his heart and he died 6 months afterwards. In 1901 The Lees mansion was completely burned down. 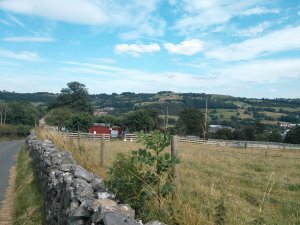 From 1914-1925 the Dale Quarry was closed, but was the ruin of Wirksworth when it re-opened. 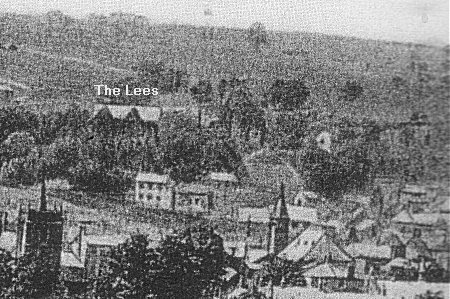 On 24 May 1880, a fine residence called "The Lees", West End, Wirksworth was auctioned. Included were adjoining fields, buildings and cottages. 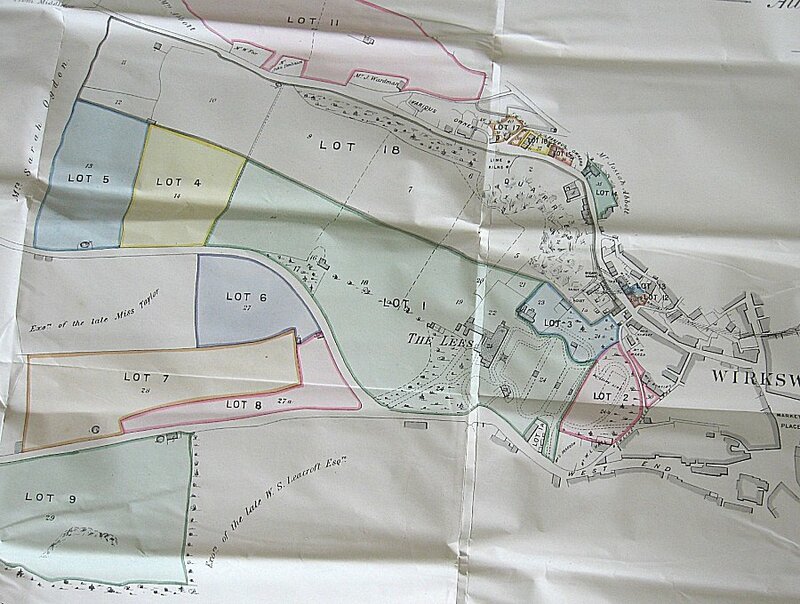 An Estate of 13 Fields and 15 cottages in all, near the centre of the Town, as well as the famous Dale Quarry. The Documentation for the Auction is transcribed below. Arthur HARWARD's obituary is from the Derbyshire Times of 06nov1880. Arthur was the son of John HARWARD, the Vicar of Wirksworth 1831-1851 with 5 children, Arthur being the only son. 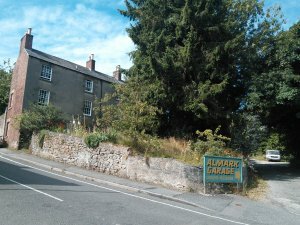 Mary Jane, Arthur's widow sold "The Lees" and moved into Riber Castle with her sister-in-Law Caroline SMEDLEY nee HARWARD (widow of the famous John Smedley) and 5 of her 9 children. 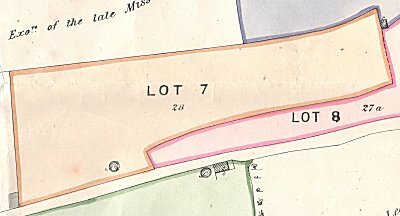 By March 1881, William FISHER, (also a solicitor), his wife and two children had moved into "The Lees" and the large Estate broken up. 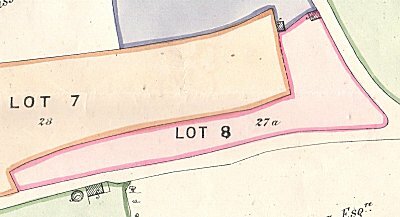 1893 Quarry sold to George Miller. 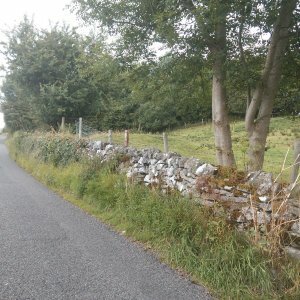 1900 Quarry sold to Butterly Co.
Death of Mr Harward. - It is our painful duty this week to announce the death of Mr Arthur Harward, solicitor, late of "The Lees", Wirksworth, which sad event took place at Matlock Bath, (where he has been residing during the summer months) on Friday evening last, after a lingering illness. Some six or seven years ago the deceased gentleman embarked in a commercial enterprise, which, we regret to say, proved most disastrous to him, and eventually involved him in pecuniary difficulties from which he never recovered. Under the style of the Wirksworth Dale Stone and Lime Company, he opened a stone quarry at Wirksworth, and to facilate the output of stone constructed a tunnel under a portion of the town, from the quarry to the Railway Station, in the progress of which many difficulties were surmounted at great expense. At this period Mr Harward was the largest employer of labour in the district, and many families were enabled to obtain a comfortable living through his kindness and liberality. Upon the completion of the tunnel above referred to a period of unusual commercial depression set in, and after vainly struggling through two or three years in hopes of averting a crisis, the deceased gentleman found it necessary to file his petition for liquidation, which was done on November 5th, 1879. This step seems to have preyed heavily upon his mind, for shortly afterwards he was seized with an illness which he never overcame, and which resulted in his death. The deceased gentleman was 45 years of age. From the Derbyshire Times, 06nov1880. Dale quarry, also known as the big hole, is the most southerly of the quarries that were served by the railway. 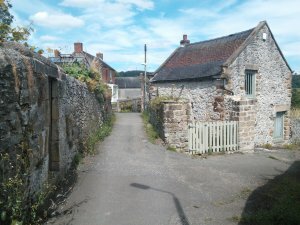 It was opened in 1874 by Arthur Harward under the name of the Wirksworth Dale Stone and Lime Company when stone and lime were carted by horse and cart to the station. The “Nimbys” of that day were not impressed by this or the scheme mooted to build a tramway through the streets, but in the end the plan of a tunnel under the town was approved, the work taking 18 months, opening with a large public gathering and ceremony on 17th November 1877, including a trip through the tunnel in a special train. Although a great engineering success the expenditure bankrupted Harward who in Dec 1879 was forced to sell out to a J G Compton of Derby and after a couple of further changes of ownership ended up with the Butterley Company until the 1920s when it closed. 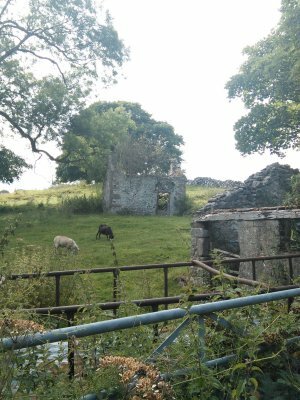 The Leys, a large family house which stood mid way between the Dale and Brassington Lane, although not actually in the Dale itself, was so much part of it, in all aspects of its life, that it deserves to be mentioned. 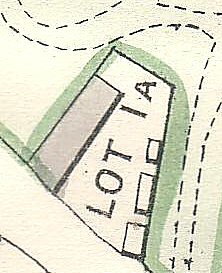 The livliehood of so many of the inhabitants of the Dale was dependent on the people connected with the Leys, both for work that was provided at the Quarry, and the dwellings they lived in. The house was built of gritstone under a tiled roof, with a large glass covered entrance from the driveway, and an entrance hall leading into the house from the lawn. There were two carriage drives leading to a reception area at the side of the house. 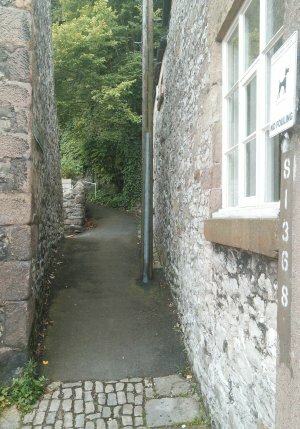 One entrance was at the corner of Brassington Lane and the other opposite Number 61 West End. There was also a pedestrian entrance on Bowling Green Lane. It was a large house containing the usual accomodation provided for the gentry of the day, with library, drawing room, dining room, breakfast room, ten bedrooms, servant's quarters, stables and coach-houses. The extensive grounds contained the Leys Cottage, a building of ample proportions with six bedrooms, drawing room, dining room, breakfast room, stables and coach-house. Also situated in the grounds were, the gardeners cottage, tennis courts, and large kitchen and pleasure gardens. 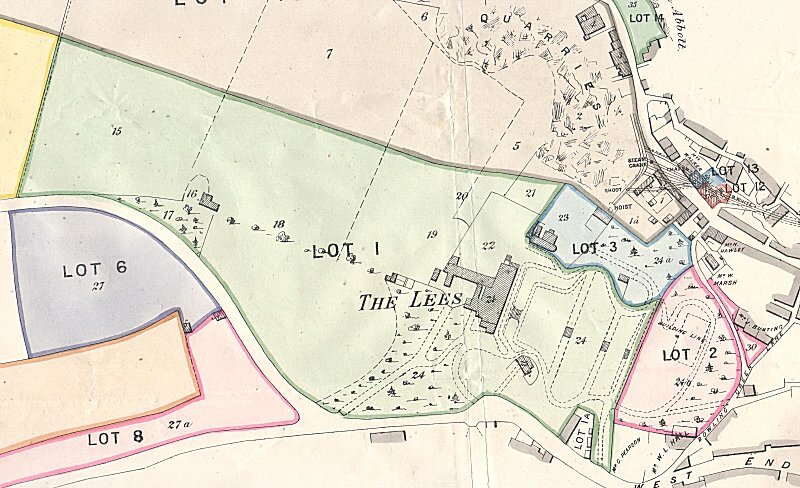 The Leys was occupied by Arthur Harwood, who in March 1862 purchased a large area of land in the vicinity of The Dale. Part of the land was a hollow in the ground containing a medium sized cliff, which became the Big Hole Quarry. The stone produced in the early part of the Big Hole Quarry's existence, had to be transported by horse drawn vehicle down the Dale, and through the town to the Midland Railway Station. The roads at this time were made up of limestone chippings, dust, and other available material suitable to create a suitably solid surface when rolled and stamped. You can imagine the state of the roads at this time, especially the mess created by the busy traffic in the streets. As the quarry increased in depth the stone had to be winched up by crane. It was due to this slow and laborious method of getting the stone out, and the state of the roads in the town, that it became necessary to take ction to improve the rate of production, and at the same time, alleviate the problems cuased by the mess in the town and in the Dale. On August 29th, 1879, Arthur Harwood acquired a deed of grant to "make and forever maintain, a tunnel from the station of Midland Railway Company to the stone quarry in The Dale".The opening of the tunnel was a momentous occasion, performed with great ceremony. The Wirksworth Volunteer band was in attendance, and after the ceremony a lavish meal was served in the Town Hall for the dignitaries and all concerned. 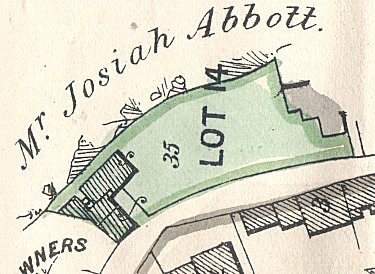 However, probably within the year, Arthur Harwood relinquished the ownership of the quarry, and it was then taken over by a group of people trading under the name of the Wirksworth Dale Stone and Lime Company, under the managership of Joseph Boulton. 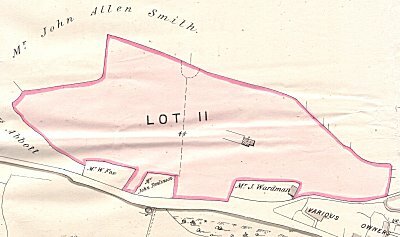 The quarry again changed hands, and came in to the ownership of George Colledge, who at the same time was working the Bailey Croft Quarry, and was registered as a lime and stone merchant. 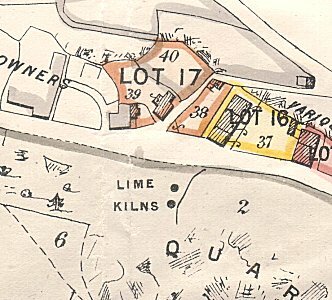 The two lime burning kilns in use in the early part of the quarry's existence stood only a few yards from The Dale itself, almost on the doorsteps of numbers 66,67, and 68. The coal needed to burn the limestone had to be transported through the town and The Dale, by horse drawn vehicle. It is interesting to note that in the 1880s, the two kilns were capable of producing 200 tons of lime per week, and this fact gives us some idea of the large amount of horse drawn traffic at the time. 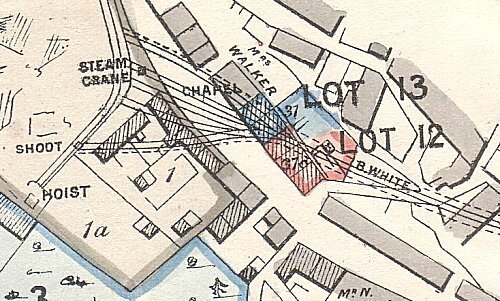 The remains of the kilns were still visible in the 1920s. 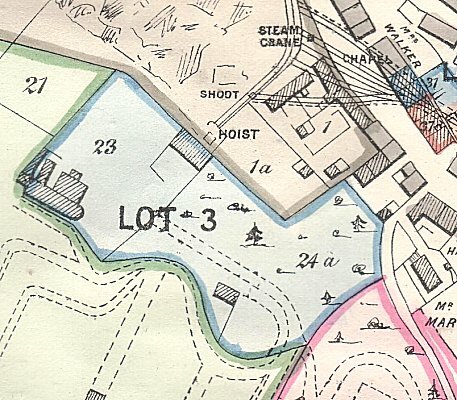 The quarry changed hands again on the 7th October 1893, and came into the possession of George Miller who, in July 1900, sold out to the Butterly Company who continued to work the quarry until 1914. It remained closed from that date until February 1925, when Wirksworth Quarries Limited took possession. During the quarry's working life up to 1914, when the work was done by hand, very few problems were encountered. Very little dust was created and only a small amount of acceptable noise. The re-opening of the Big Hole Quarry in 1925/26 was an environmental disaster for the whole of the community. It was not so much the working of the quarry, but the decision to allow a stone crusher to be installed in the hole, two or thre hundred feet deep in the midle of a fairly densely populated area. What did they expect, the dust to go down the tunnel? IT WAS A TRAGEDY. Although I worked in the quarry myself, I had no alternative, I thought it was a disaster, both for the Dale and its inhabitants. It was obvious from the start something serious would happen, and it did. The continual noise of the plant was bad enough, but the dust created when crushing the stones, covered the houses, gardens, surrounding fields and trees. The dust problem was appaling. It infiltrated into the houses in the neighbourhood, and made the whole area look like a lunar landscape. I wish I could find a stronger word than 'infiltrate'. No words can ever describe the conditions the people of The Dale lived under, the heartache it caused, and the hard daily toil which was necessary to keep the houses clean and habitable. I had personal knowledge of the problem through my in-laws who lived at Number 58, The Dale. No sooner had the house been cleaned by my wife, than it was ready to be cleaned again. The Council were approached many times about the dust problem, but unfortunately nothing seemed to be achieved, and the problem was never resolved. I believe this was one of the main causes of the area becoming almost derelict. It was virtually destroyed, and I cannot find adequate words to describe this tragedy. 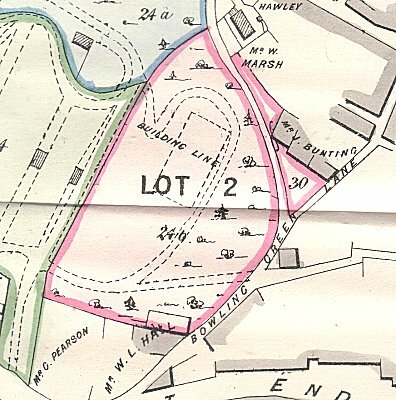 An injunction was taken out against the quarry in late 1932, but at a later date withdrawn. completely destroyed by fire on Thursday morning. W757i  William   REDFERN    15  m  Y  M.S. W757j  Ellen     TAYLOR     20  f  Y  F.S. W757k  Ann       FRITCHLEY  15  f  Y  F.S. 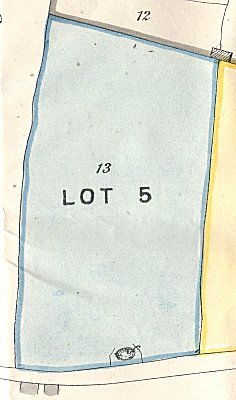 Conditions of Sale to be then produced. Library, Butlers Pantry, Kitchen, Scullery, and Larder. with provision for further bed rooms, if required. and the principal rooms are fitted with Hot-water apparatus. are PERFECT in their arrangement and efficiency. and are of recent erection. is fine old turf, overlying the Limestone Strata. Each Field has a good road frontage. Wirksworth Station of the Midland Railway Company. (between words Bowling and Green on map). The Private Entrance is within two minutes' walk of the Market Place. Kitchen; Larder; Scullery' and Closets. and the Lawn and Shrubberies leave nothing to be desired. 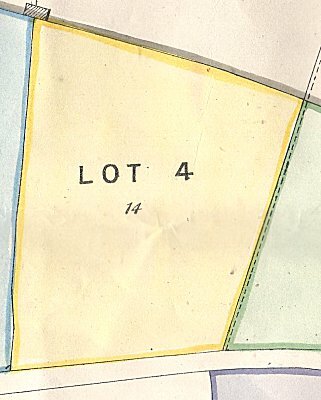 Lots 1,2 and 3, will, in the first instance, be submitted for sale in One Lot. be sold with the benefit of such right. containing 1 acre, 0 roods, 33 perches. during the life of the same Lady. 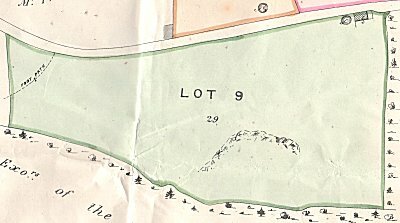 Southern aspect, and known as "Aspin, or, Brown's Meadow"
4 acres 1 rood 28 perches, as now occupied by Mr Abanathan Hawley. to a Lady now aged 55.
as now or lately occupied by Messrs. Wm Houghton, J.Orridge and Wm Byard. or late in the occupation of Messrs George Brooks and Thomas Byard. as now occupied by Mr John Brewell. The Quarry is of an average height of about 300 feet. demand for roads and asphalting. the merits and capabilities of the Stone. other costly Fixtures and Working Plant. with judicious management, large returns will assuredly be realised. my careful Analysi of the two samples of Limestone - White and Blue. Iron, which does not impair its value for the generality of uses. Wirksworth, with fine small and certain, are Freehold. 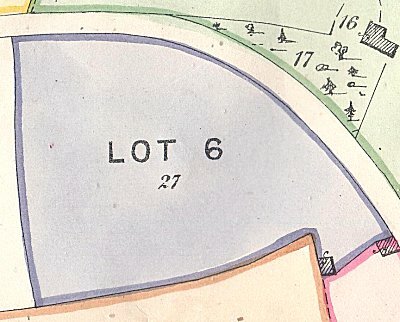 Lots 1,2,4,5,6,8, and 18, are in hand, and immediate Possession can be had. or Capitalists in search of a sound investment.